Take a look at the various aggregates we can provide for you today. 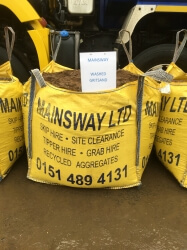 Mainsway Ltd have a range of aggregates in Liverpool available for purchase. Our aggregate products offer fantastic value for money and with several construction aggregates available, we can always meet your needs. 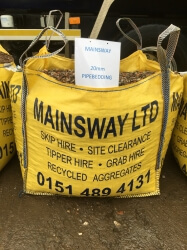 Our aggregates are suitable for a range of services including pipe bedding and laying driveways. We can always advise you regarding the other uses of our aggregates and what the best option for your construction needs is. 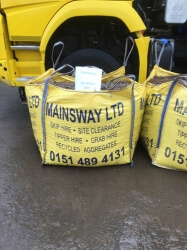 Our aggregates can be delivered throughout Liverpool and within a 20-mile radius. 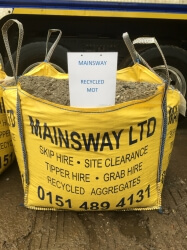 We have different sizes available for all aggregate products in Liverpool and can always meet your needs, delivering as much aggregate as you require for any construction. 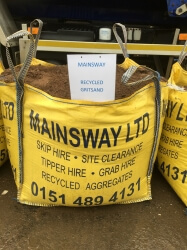 Our aggregates in Liverpool always offer high quality and with quick delivery, any construction can begin without any delays. You should always select the best aggregate for your needs for a smooth construction and no problems with any pipe or driveway installations, in addition to other construction uses. 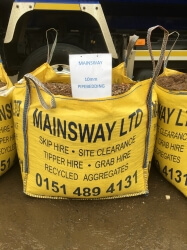 If you would like to enquire about our aggregate products in Liverpool, speak to Mainsway Ltd today. We can provide a fast response and organise a suitable time to provide the delivery of all aggregates. Call us now on 0151 489 4131 or fill in our contact form today to speak to our team.